The booths at the expo offer various investment options designed for the benefit of retirees. Financial security should be at the fore­front of everyone’s at­tention. 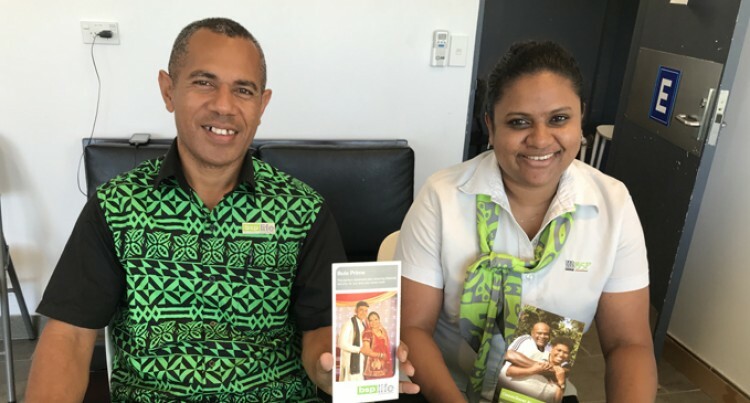 This was emphasised by Ker­rie Wallace, a staff member of Bank South Pacific during Retirement Expo at TappooC­ity Lautoka yesterday. Ms Wallace said that it was imperative that everyone took note of the various fi­nancial activities and the im­pacts it could have on people. “Our main purpose for this expo is that we are trying to attract more pensioners to invest their money,” Ms Wal­lace said. She said that people in turn took advantage of the oppor­tunity to have their doubts cleared as well. “People came in for different enquiries and we are always glad to assist them,” she said. The booths at the expo offer various investment options designed for the benefit of retirees and other potential investors. An example one of them is the Classic Saver Account by BSP. Ms Wallace said that this came with huge benefits as well. This include four free elec­tronic transaction per month, no service fee being charged and convenient to use. Another BSP staff member Vilimone Kuriyawa said that digital banking was the way to go for people in the coun­try.